It’s official: Miye D’Oench is back. The beloved No. 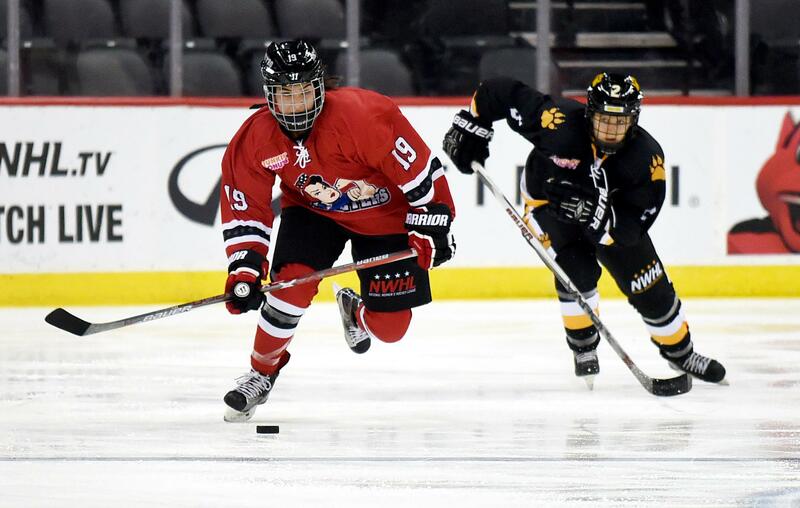 19 of the defending Isobel Cup champion Metropolitan Riveters returns to the lineup on Thanksgiving weekend, when her team hosts a rematch against the Connecticut Whale on Sunday at 2:00 pm at RWJBarnabas Health Hockey House. D’Oench was away from the game for a noble reason. The Harvard graduate spent the last several months in Kentucky as a field organizer for the celebrated campaign of Democrat Amy McGrath, a retired 20-year Marine fighter pilot who was running for a House seat in Kentucky’s Sixth District. McGrath lost to the incumbent, Andy Barr, but garnered 47.8 percent of votes – an extraordinary number in a district where Democrats have rarely come close. To be sure, D’Oench missed the hockey and her teammates, but cherished the experience of working for McGrath and for a cause that was monumental to the Riveter. “With everything that’s going on in our country, I felt a sense of urgency,” said D’Oench. “I didn’t want to sit it out. I set out on this journey to do my part to help the Democrats win the House. That goal was accomplished. Through it all, D’Oench focused on rejoining the Riveters after Election Day. On her rare moments away from the campaign, she trained at a gym and rollerbladed. She began practicing with the team last week, and has skated on her own whenever she had found the time and ice. After more practices around Thanksgiving, the champion and activist will return triumphantly before the Riveters fans on Sunday. Tickets for the Riveters-Whale game on Sunday remain available at NWHL.zone/tickets, and for those who cannot make it to Newark, the team of Sherry Ross, Erica Ayala and Matt Falkenbury will have the call on the NWHL Twitter Game of the Week.